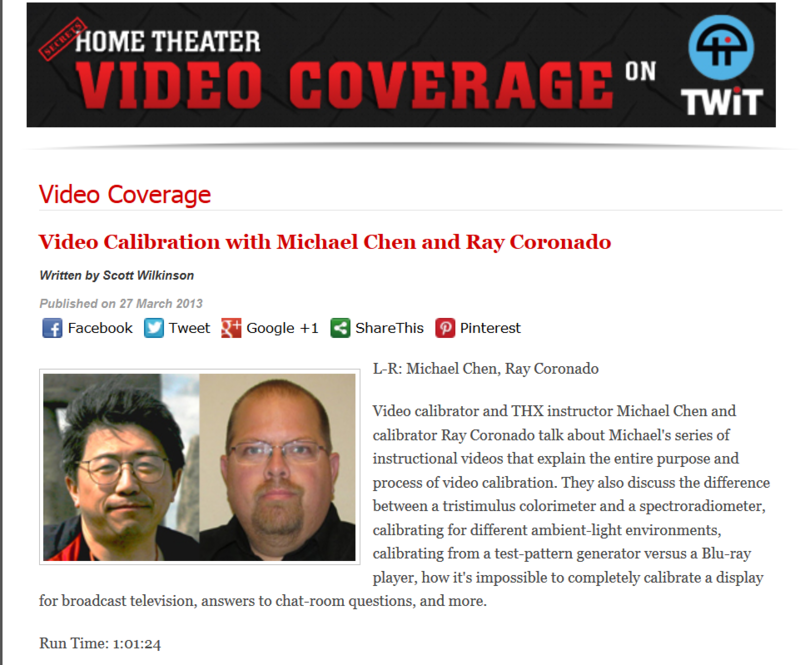 Starting with a very unflattering image of myself, Scott Wilkinson chats with Michael Chen and Ray Coronado on his Home Theater Geeks podcast done on March 25, 2013 on the topic of Michael’s Video Calibration Training Series as well as all things calibration related. 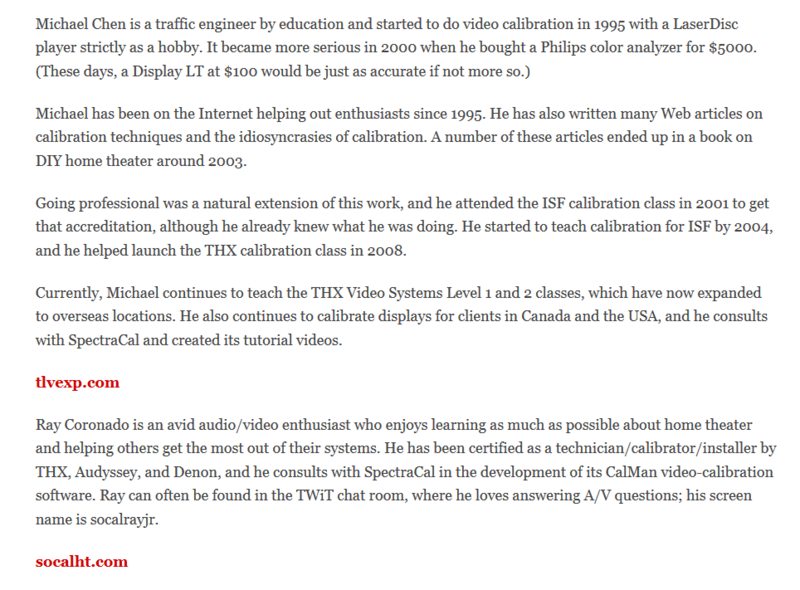 The program runs about one hour long. Be sure ask Ray about what a filter pack means if you talk to him. 🙂 Enjoy.